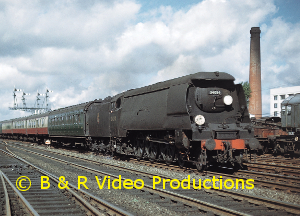 This is our second volume featuring the Southern Region “Withered Arm” in the West Country and starts with scenes along the SR main line to Exeter Central including railtours with 60022 Mallard, T9 No.120 and BR Standard Tanks on the “Exeter Flyer”. We travel along the North Devon line to Barnstaple and then northwards pausing at Braunton to see the Mortehoe bankers at work with a variety of passing trains before arriving at Ilfracombe for views of the station and the harbour. A paddleboat ferry departs for Bristol! 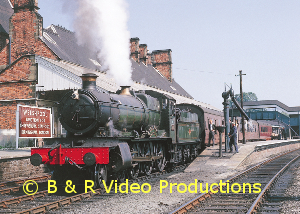 Back to Barnstaple with a Hymek and glimpses of Rolles Quay Sidings, Pottingham swing bridge, Town station with its erstwhile L & B platform, the Taw viaduct (with steam footage) and into Barnstaple for scenes around the station and the shed. 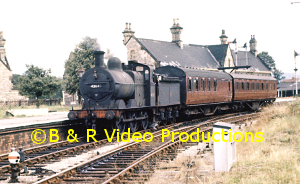 After closure we see footage of the now derelict viaduct, Town station and swing bridge. 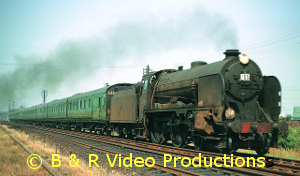 There is extensive coverage of the Torrington line with Class 25s & 31s on milk, china clay and special trains plus the comings & goings at Fremington Quay and Instow including many scenes inside the signal box. At Bideford and Torrington we see activities in both steam and diesel eras, with Ivatt 2-6-2Ts, SR Moguls and Classes 22 & 25. 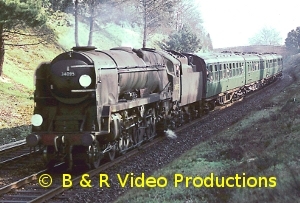 Next, along the ex-SR Devon main line with diesel hauled ballast trains at Yeoford & Sampford Courtenay, before arriving at Okehampton for steam with SR Moguls, Ivatt 2MTs and BR Standard 2-6-4Ts plus later diesel scenes. We travel onto the North Cornwall line at Meldon Junction and at Halwill Junction visit the Bude branch with steam plus green DMUs. 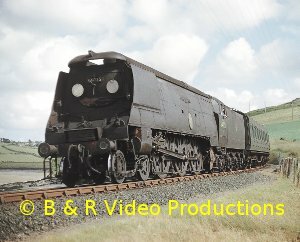 Then onwards to Wadebridge for extensive footage of T9s, ex-GWR 1369 panniers, BR standard tanks, Bulleid Pacifics and the Beattie tanks at Wenford Bridge and Pencarrow Woods before arriving at Padstow. 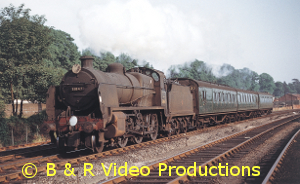 Finally, we return to the ex-SR main line at Bere Alston for a trip along the Gunnislake branch to Callington with Ivatt 2-6-2Ts and close with steam scenes at Exeter Central, including Class Z bankers, and at Salisbury.